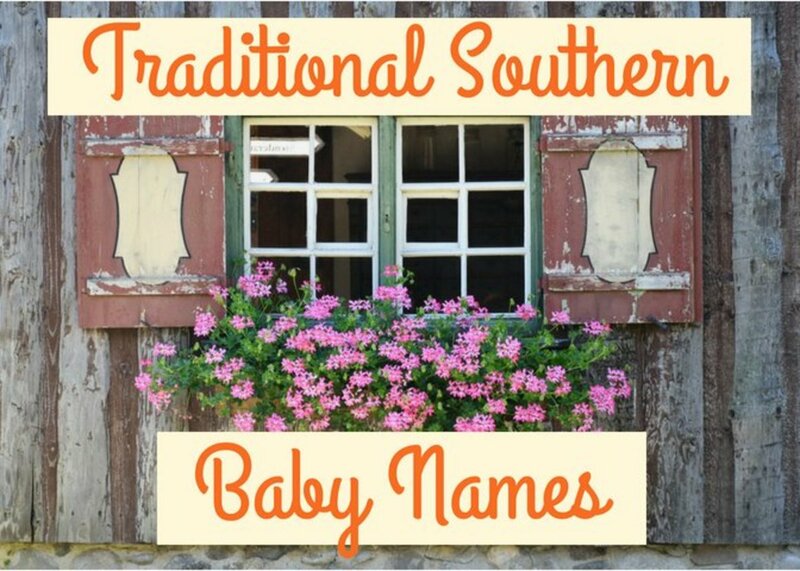 What's in a Short, Sweet Name? Some of life's most wonderful experiences are made sweeter by how fleeting they are—an ice cream cone in the summer heat, a well-written piece of short fiction, or your favorite song. 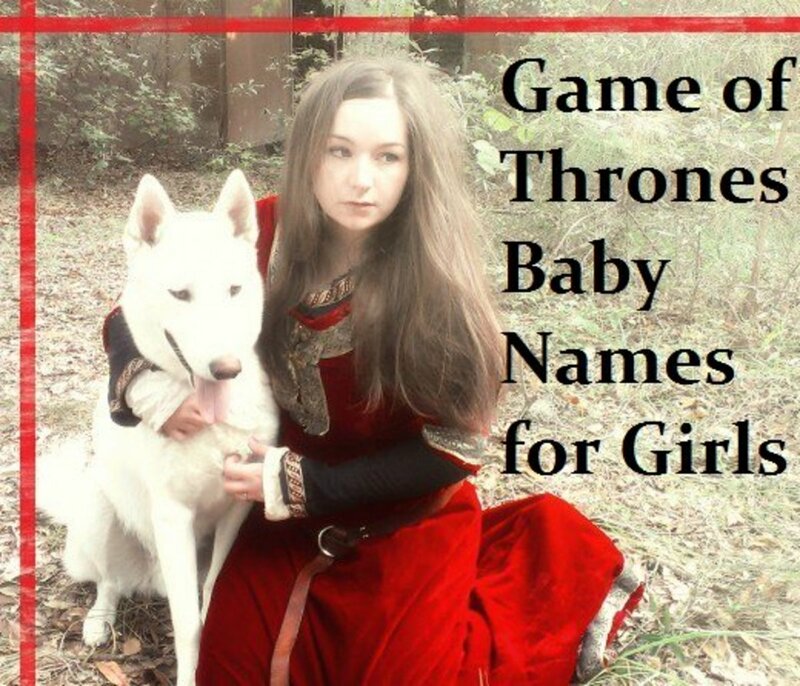 Like these things, a short name is so much better than a long name that becomes ugly in its complicated alliteration. 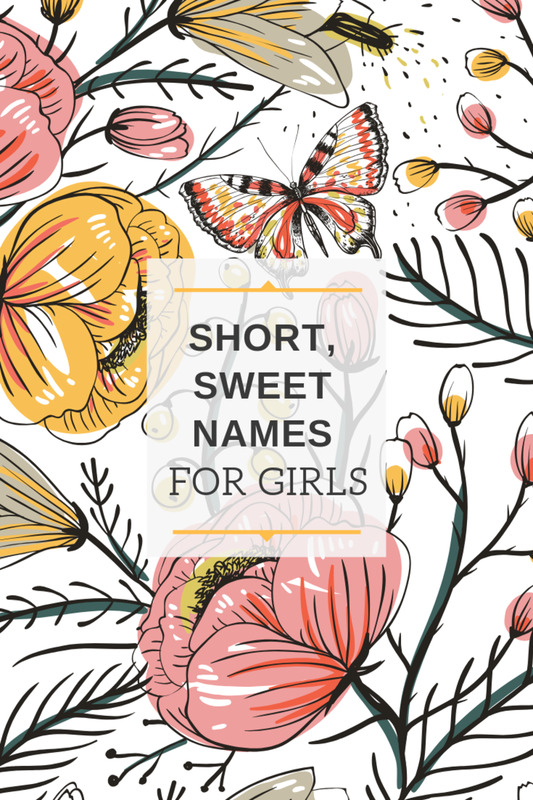 Here's an A-Z list of short names (that aren't ugly or sound totally made-up) for your baby girl. Ada: Meaning "noble", this short, vintage name is a sweet way to start off this list. Alice: With only two clipped syllables, Alice is short but like it's storybook namesake, quite curious. Ana: Say it like "on-uh", Ana makes a beautiful middle name, shortened version of "Anastasia" or a sweet moniker all on it's own. Anne: Means "grace." Sweet, indeed. Ava: Pronounce it with a long or short beginning "A" depending on your preference - either way is lovely. Bea: Typically a nickname for Beatrice, this shortened version holds it's own among the more popular three-letter names like Mia and Zoe. Belle: With only one syllable, Belle reminds me of the sweet fabled bookworm with big eyes and an even bigger heart. Beth: Short and strong, this one doesn't need a Bethany or Elizabeth to hold it's hand. Bryn: Say it like "Brin", not "Brian" for a chill, preppy name. Ceil: Pronounced "seal", this one has all of the elegance of the more complicated "Cecelia." Chloe: Overdone? Maybe. Short? Yes. Sweet? Absolutely. 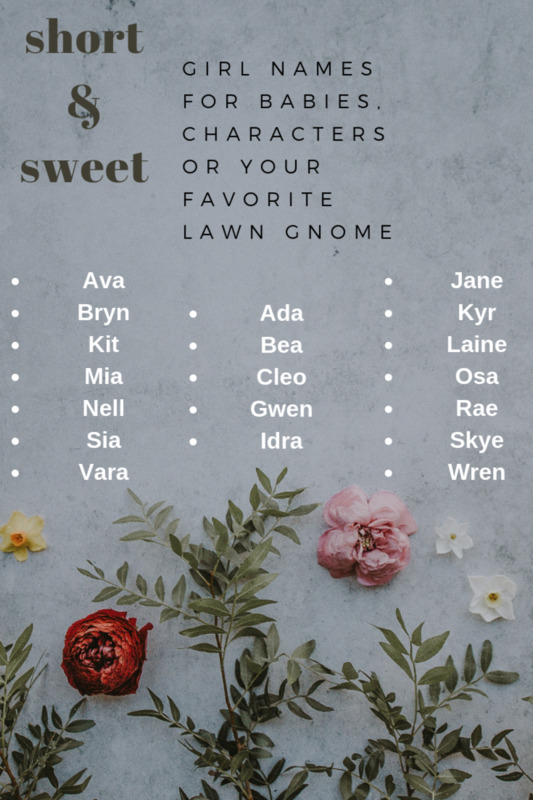 If you can't handle it as a first name it would make a pretty alternative to uber popular middle names like Mae, Rae and Ann. Claire: This delicate name has been flying just under the radar over the past decade. Cleo: Underused but super cool. Dae: Coming in at just one syllable and only three letters long, Dae would make a gorgeous middle name for a longer first name. Elle: Feminine, sharp and totally chic. Emmy: Could also be spelled "Emme" if you're not as into the ending "y", Emmy is a sweet exchange for the more popular Amelia or Emily. Evie: Short for classic names like Evelyn and Evette, bestow this one as a nod to a beloved aunt or just because it's lovely. 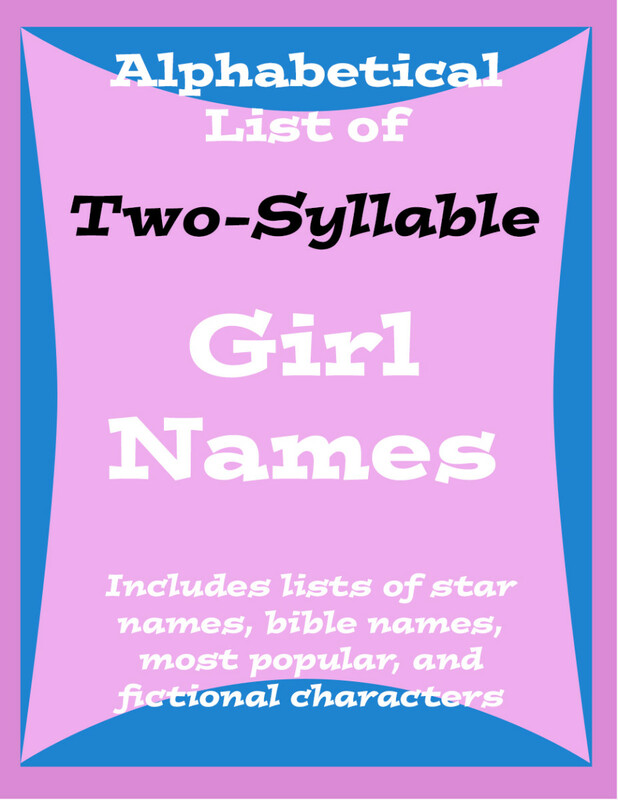 Fae: Another one-syllable contender, Fae makes an otherworldly first or middle name. Fawn: Perhaps a bit twee, with the rise of wildlife inspired first names like Bear and Lark, she'll fit right in. Gwen: Popular as a middle name, Gwen, with it's elegance and simplicity deserves the first name spotlight. Hali: Pronounced with a short "a", Hali isn't super popular but I can't see why. A Greek name meaning "the sea", this name is cool, calm and collected. Hayes: Like "Haze" but less smoky. Ia: If it looks too short, know that this name is said "Eye-uh" and has the potential to soften a clunky last name like, well, mine. Idra: Obscure and not overly feminine, this name means "fig tree" and I think we can all agree botanicals are in right now. Jade: Botanicals aren't the only inspiration behind nature names right now. Stones, minerals and gems like Ruby, Amber and Opal have been consistent favorites with Jade leading the pack. Jane: Beautiful on a babe in arms or a college sophomore, this one-syllable name will grow with her. Joan: All-business, Joan is a strong one-syllable name like Jane but with more command. Jule: Julie, Julianna and Juliette may be a bit tired but the quick Jule is fun and easygoing. June: Warm and joyful like the month. Kate: Quick and smart, you can use it as a diminutive for Katherine or give it to her all on it's own. Kay: Another diminutive of Katherine, Kay means "pure" and is sharp as a first or middle name. Kit: Guess what? It's another diminutive of Katherine, but this time we're feeling androgynous, mysterious and a little foxy too (get it? Kit fox). Kyr: Like Kiera or Kierstin but less common and easier to spell. Lark: A whimsical name with a sing-song feel to it, Lark is perfect for a sweet girl with a relaxed, fun-loving family. Laine: Smooth and easy to love, Laine's been a favorite of my since my Gilmore Girls days. Liv: Effervescent and cool, Liv is best on it's own, forsaking the all-too-popular Olivia for a more streamlined, minimalist name. Mae: Cute and familiar, Mae is never out of style. Maive: If you're looking for something a little more curious than Mae but still into the vintage charm, this name, or it's original Irish counterpart "Maeve" fits the bill. Mia: Easy to spell, pronounce and appreciate, Mia is a diminutive of Amelia but is sweet all on it's own too. Mya: Like Mia, teachers and new bosses won't have any trouble pronouncing this dainty say-it-as-you-see-it moniker. 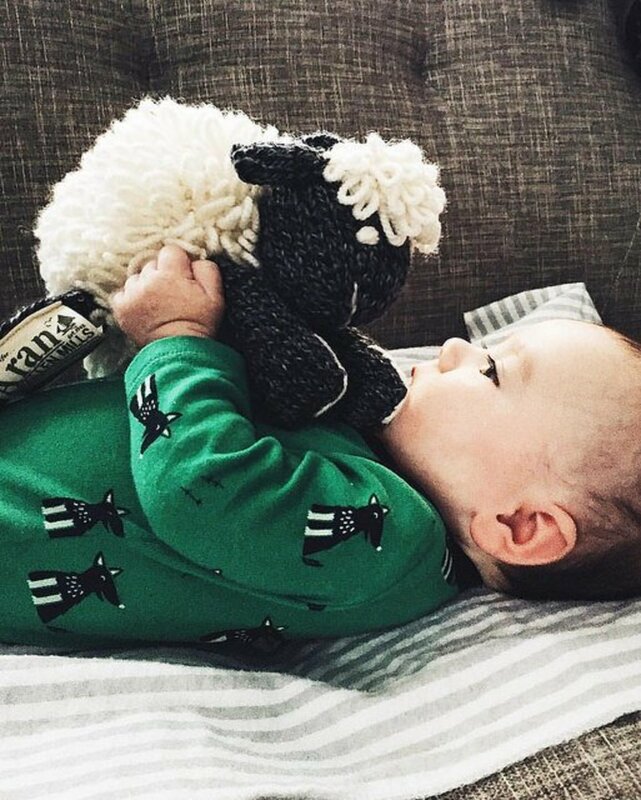 Nell: Distinct and adorable, this English name means "bright, shining one." Noel: French for Christmas, this may be a tiny little name but it packs a lot of rhythm and would be especially charming on a holiday baby. Onyx: Deep and brooding like the stone it borrows it's name from, Onyx may be an eccentric choice but it'll set her apart from the crowd with it's beauty. Opal: Quaint and gem-ish like the aforementioned Onyx, but with a touch of charisma. Osa: Nordic in origin, Osa brings together the all-popular vowel trend in a tidy, slightly exotic package. Pearl: Want to make it even shorter and kinda kitschy? Spell it "Purl" like the stitch. Priya: This Indian name is not only lovely in it's pronunciation but in it's original meaning: beloved. Quinn: Takes the edge off a hectic last name yet still stands strong as a pretty first or middle. Rae: Popular as a middle name, Rae deserves some first name glory. Rene: Used as both a boy's and a girl's name, Rene fits in perfectly as a middle name for other R names like Riley, Rebecca and Rachel. Rhea: Sometimes "ray" sometimes "ree-uh", always pretty. Ruth: Most recently used as a middle name, Julia Garner's badass portrayal of Ruth Langmore in Netflix's sleeper hit Ozark is making me seriously rethink this for a strong, commanding first name. Shay: This one brings back memories of my older cousin's friends circa 1999. It's a rarely used name that's actually very pretty, both on paper and said aloud. Sia: Say it like "see-uh". Can also be spelled with a C.
Skye: Ethereal without being out-of-this-world. Tess: Diminutive of Esther or Theresa, Tess would make a solid first name, especially with a surname that has a strong beginning or ending T, like Elliott or Taylor. Tia: She's the cool kid with a heart of gold who always wears shades and takes crap from no one. Ursa: Not quite as heavy as Ursula but still weighty. Vara: Play with the pronunciation to get the vowel sounds that fit your fancy, this name is neat without being trendy. Vivi: Vivi could be short for Vivian, Vivica or even Veronica - or it could stand on it's own as an eclectic first name. Wren: Cute for a kid who'll grow up on more PBS than YouTube and wear second-hand Bogs 10 out of the 12 months of the year. Zoe: Enduring. There's a good reason this three-letter name has stood the test of time - it's fun, charming and easy to love no matter her age or stage. Love the list especially the description of Tia. In Spanish tia means aunt.